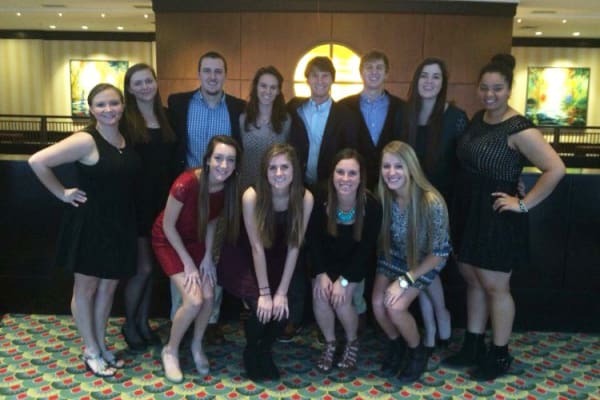 As a registered student organization, UNCW Student Ambassadors volunteer our time in service to the university. We embody the Seahawk spirit and strive to display what it means to love the dub. From future Seahawk tours to university traditions, our commitment and involvement has shaped the student-life experience for thousands of students and alumni. We have the opportunity to attend and present at the 2017 CASE ASAP District III Conference, February 16-18. This annual conference, held in Gainesville, FL, will be a unique opportunity for us to network with other student leaders and learn from peer student advancement programs. We also plan to sharpen our skills by offering two presentations during the conference on UNCW programs. Some of UNCW's most beloved campus traditions like Oozeball and Lemonade Brigade have been implemented as a result of previous ambassadors attending this important convention. And every year that we are able to attend, we continue to bring back new and exciting programs that benefit students and carry on the Seahawk tradition. Conference registration fees and travel expenses are not covered by the university and can really add up for students. Registration fees and travel expenses can exceed $500 per student - that's why we need your help. If we could raise $2,000, that would help us greatly offset the cost to attend this important conference. Reaching our goal would also enable us to secure our spot and take advantage of an early registration discount. Our goal of going to convention is within our reach but we need your support! Please help us get there by making a gift to the project. No amount is too small and every gift will add up to help us reach our goal. We can't wait to share with you what we learn at convention and keep you updated on our progress. Note: By making a gift, your contribution will support a group of 12 student ambassadors to attend the CASE ASAP conference. The attendee list has not been finalized by the group, therefore, your contribution cannot be earmarked for a particular student. Receive a special shout out from the Student Ambassadors! Make a special gift in honor of 1947, the year UNCW was founded and receive a special handwritten card showing our appreciation. Receive an exclusive video of our highly anticipated lip sync performance (an ambassa-tradition of our own). Enjoy a golf-cart tour of campus led by a UNCW Student Ambassador.